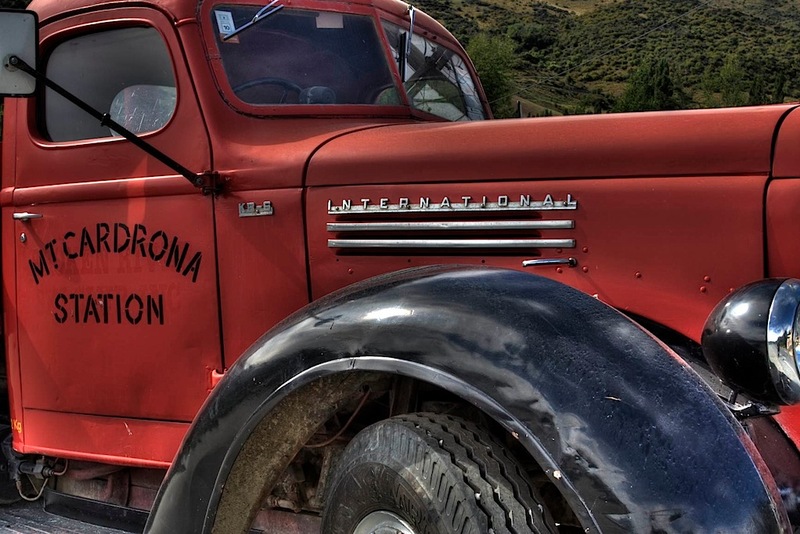 Another picture of the truck in front of Cardrona Hotel in New Zealand. HDR from three RAW exposures. f/11, 1/50, ISO 100, 32.0mm. Canon Digital Rebel.